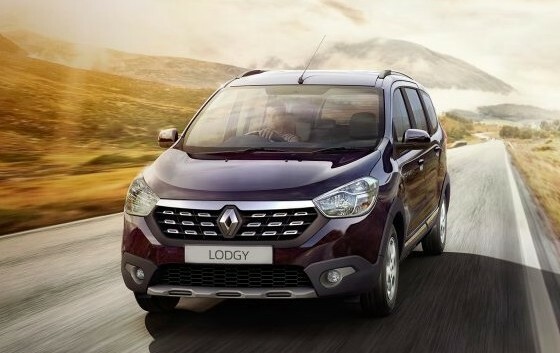 Renault Lodgy till now has found success in its MPV business in India. Renault with its strong MPV portfolio has even outsold cars like Honda Mobilio for past few months. The trend of choosing Renault cars is growing. We are all familiar of compact cross-overs, cross hatchbacks and compact crossovers till now – Renault is now introducing first-of-its-kind cross MPV. Renault’s official website has been updated with details on new Renault Lodgy Stepway which is actually a cross-over variant of MPV. Renault Lodgy Stepway was already in news as it was first showcased and presented to Bollywood celebrity Hrithik Roshan during Star awards earlier this year. The new Lodgy Stepway has got some cool features like Eight way adjustable driver seats, cruise control, speed limiter, Anti-lock braking system, EBD, safety airbags and more. Stay informed that Lodgy Stepway doesn’t come with bigger tyres pr higher ground clearance. The car is made available in 7-seater and 8-seater versions. The price of 8-seater version of Renault Lodgy Stepway is Rs 11.99 Lakhs and 7-seater one has been priced at Rs 12.29 Lakhs (ex-showroom in Delhi). The car is powered by 1.5 litre dCi diesel engine which churns out a maximum power of 110PS and a peak torque of 245Nm.